"the National Health Service is the closest thing the English have to a religion"
In 2018, Britain’s pioneering National Health Service will be seventy years old. CHM has been awarded a major grant by the Wellcome Trust to look at what the NHS has meant to British culture, identity and health over its lifetime and how people have felt about it from 1948 to the present day. It will be the first major history of this subject. A major part of the project is the development of a website that collects your personal experiences of the National Health Service: a People's History of the NHS. NHS patients, staff and others are invited to contribute stories, images, jokes etc. 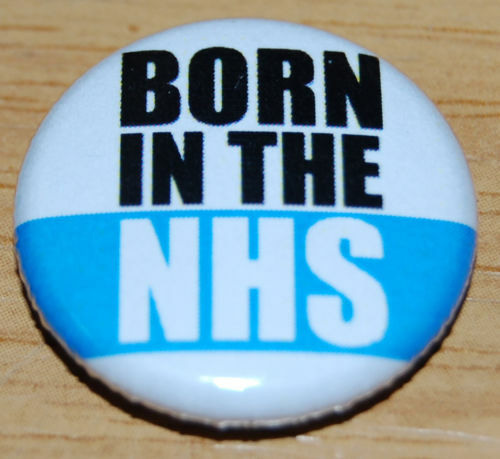 We'd love to hear your recollections of the NHS and what it means to you. If you would like to participate in this part of our project please visit our People's History of the NHS website where you can tell us your stories, respond to calls for information, find out about public engagement events, and visit our Virtual Museum and People's Enclyopaedia of the NHS. There will also be a wide-ranging programme of events throughout the project lifetime, leading up to the NHS's 70th anniversary in 2018. If you would like to contact us about public engagement you can reach us by email at NHSengage@warwick.ac.uk. Cultural History of the NHS website for more information about the project as a whole.